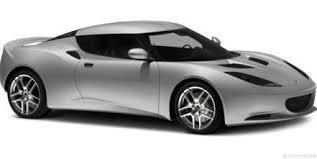 Lotus Cars is recalling certain model year 2013 Evora vehicles manufactured September 2012 through November 2012. These vehicles have been granted a temporary exemption from the requirement to conform to the latest passenger side advanced air bag requirements covered by Federal Motor Vehicle Safety Standard No. 208, "Occupant Crash Protection," but the affected vehicles do not a contain temporary exemption label in accordance with 49 CFR 555.9. Additionally, the affected vehicles have the incorrect date of manufacture on the Federal Certification Label. An incorrect certification label may prevent the owner from determining recall applicability, potentially increasing the risk of a crash or injury. Got a lemon Lotus Evora? Want a new Lotus or your money back?